For the long term unemployed in the Pittsburgh Metro area the June unemployment report is bittersweet. For our area, the unemployment rate dropped from 8.6% in May to 8.3%, while adding 7,700 jobs. The good news is this represents almost 4,000 more jobs than one year ago. While good news for area economists, who see the Pittsburgh Metro getting better through the rest of the year, it is little help to the more than 100,000 residents who couldn't find work. 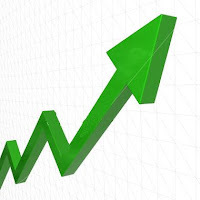 Our sense here at EmploymentGuide.com is that employers are beginning to increase their recruitment activities. While summer is normally a slow recruitment period in good times, this summer has seen a steadily (albeit slowly) increasing number of job postings as well as inquiries toward near term recruitment plans. 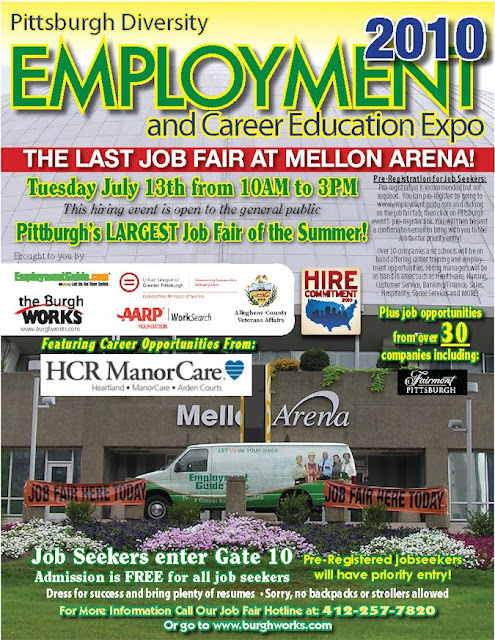 Our job fair held recently at Mellon Arena attracted 40 local employers which was the most in two years. For more details on the job numbers go to the Post Gazette and the Tribune-Review. July 13th, the Last Public Event at Mellon Arena – Ever! We all know what the first events at the new Consol Energy Center will be. We now know what the very last event at Mellon Arena will be. Appropriately hundreds of Pittsburgh area job seekers will benefit! As the local economy begins to recover from the worst local downturn since the collapse of the steel mills, EmploymentGuide.com and The Urban League of Greater Pittsburgh and have combined efforts for the sixth consecutive year to bring jobseekers together with companies who seek their talents. On Tuesday, July 13th, from 10:00AM to 3:00PM at Mellon Arena more than 35 Pittsburgh area employers and schools, featuring career opportunities from HCR Manorcare and the all new Fairmont Hotel in downtown Pittsburgh, will meet and interview hundreds of job seekers at the 2010 Pittsburgh Diversity Employment and Career Education Expo.